Eureka Seven was removed from Hulu and Crunchyroll. Eureka Seven AO: Astral Ocean is shaping up to be a good anime, not as good as the original, but still a worthwhile series. Too bad it's only available with subs. Why isn't new episodes of Fairy Tail available on Hulu? They only have the first 48 episodes available. Crunchyroll shows new episodes of Fairy Tail for premium members, but only keeps the episodes on their site for 4 weeks. Has anyone watched Shakugan No Shana yet? I heard that Bleach: The Thousand Year War anime series will air in Japan soon and it'll be a 52 episode extension of the original Bleach anime which will show the entire final manga arc! I'm sorry to say this but Fairy Tail has been cancelled as of this week. The current story arc of Naruto Shippuden is really long. I just got my first manga today from a friend! Here's an image of it! Nice manga choice! I highly recommend Kinichi to those who haven't seen it yet. It's funny, but has a serious side to it and is a enjoyable underdog type martial arts anime series. 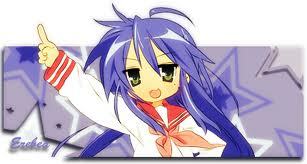 I enjoy much anime have any one see the Hoshi No Kirby anime? I like very much when younger. You mean Kirby Right Back at You? A little, but I was a little old for the series when it aired where I live. What episode of One Piece are all of you currently up to? The last episode that I watched was episode 531! I love the underwater action! I'm in the 540's myself and the new world arc is still going strong! I'm completely current and I must say things just keep getting weirder in the series, but in a good way! Ikr, also Attack On Titan is an excellent anime for older audiences I can't get enough of the series! I just heard that there will be yet another Clannad series so I'm really happy right now! Hyperdimension Neptunia is really good, but I could do without all of the fanservice. Are there any Shugo Chara fans on these forums? I watched it and liked the series especially love the King of Hearts! Are there any anime similar to Ronin Warriors or Knights of The Zodiac that are available at Hulu or Crunchyroll? Try watching the Saint Seiya: The Lost Canvas on Hulu it's very similar to those two series. Who is stronger Naruto or Inuyasha? I'm not sure, but it should make a good discussion. Naruto is when he is in tailed beast mode lol. Inuyasha could use Naruto's own demon energy against him with his backlash wave. Is Magi a decent anime series? What is the premise of the show? Do you think there will be any new seasons of Bleach down the road once the manga finishes? Hayao Miyazaki is rumored to be working on a Chrono Trigger feature length movie, I'll have to watch it as soon as it's released in the western hemisphere! Naruto Shippuden will be ending soon so I really hope the series will have a proper ending. Whatever happened to Digimon and Gundam? There haven't been any new series in those franchises for quite some time now. There is a new Digimon series, but I don't know much about it. It's supposed to be a good series though. Has anyone noticed that Naruto still has living relatives, but yet neither he nor they even realize it in the more recent Shippuden episodes and manga chapters? What are the best anime comedies this season? 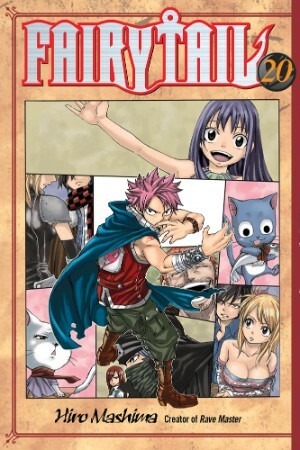 Is Fairy Tail going to return or has it been cancelled?